The Easter holiday is fast approaching and I wanted to let you all know about a HUGE deal of the day on Amazon TODAY! Educational Insights and Learning Resources, two big names in toy and game manufacturers, will host MAJOR discounts through Amazon on Thursday, April 4, including 25% off select best-selling toys and games that will include Educational Insights’ beloved Playfoam Pals series, and Learning Resources hit Beaker Creatures series for the DEAL OF THE DAY. Kids are free to express their creativity, anytime, anywhere with just a squish of the Playfoam®! Shape it however you like, then squash it back down and start all over again! No-stick Playfoam® is perfect for sculpting squishy, squashy creations anywhere and anytime! Please note (and this is important in my family) Playfoam® never dries out, so the creativity never ends! Playfoam® encourages creativity and self-expression, provides tactile and sensory stimulation, and develops fine-motor skills too! 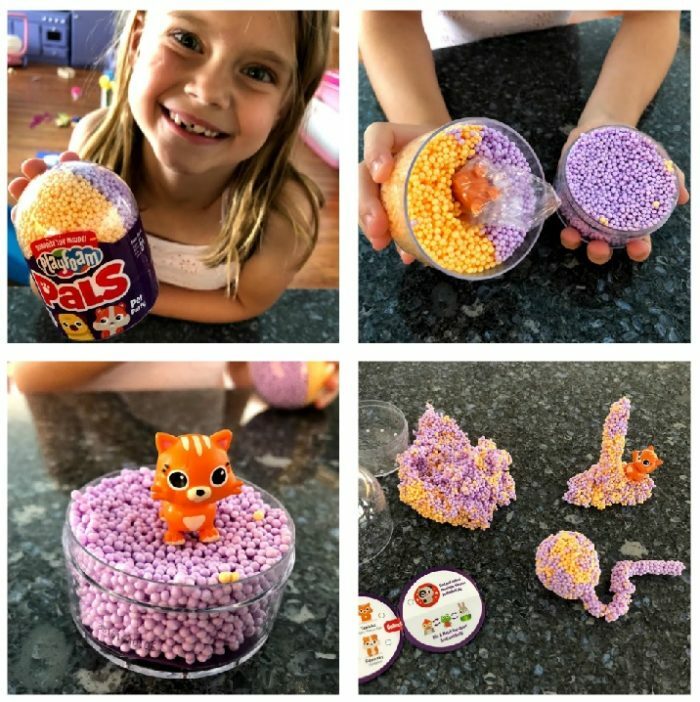 In this series Fantastic creatures are hiding inside Playfoam® Pals™ Fantasy Friends! Each pod of magically-mixed, three-tone sparkle Playfoam® hides an adorable Fantasy Friend to collect. 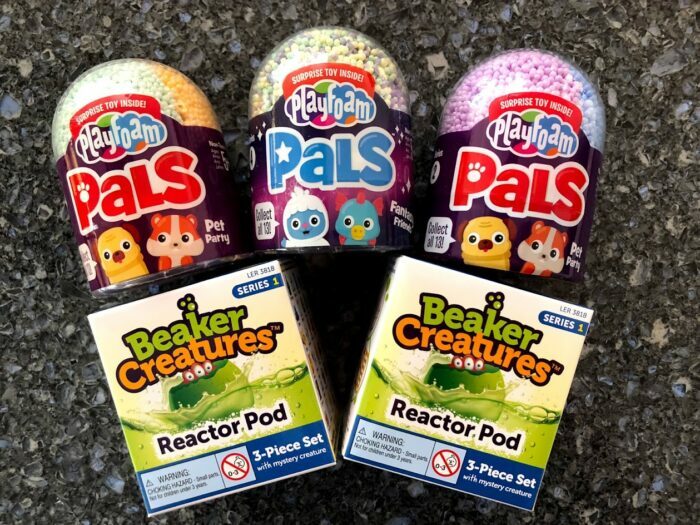 Collect all 12 Playfoam® Pals™ in each series and try to find the RARE pal! Use the squishy, squashy Playfoam® to sculpt nests, beds, perches, and other play props. You can also pop the Pals apart and swap their heads and bodies to create imaginative combo critters. We own several of these pods from their different series and they constantly get played with by my girls! 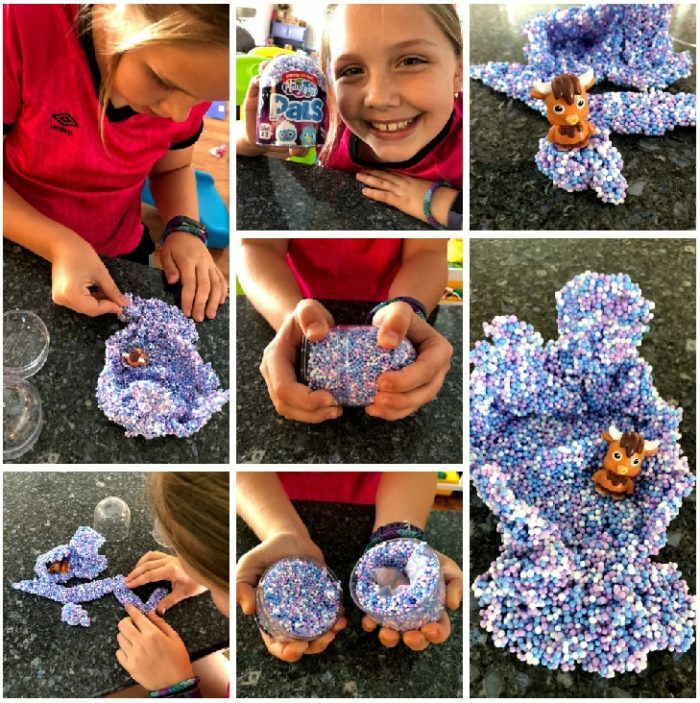 Learning Resources Beaker Creatures can be a lot of fun for kids to enjoy too! With each reactor Pod comes a mini-posters filled with real-world science facts inspired by the beaker creatures and their planets! Learn about all 5 beaker creature families including the frostonians, the oceanites, and even buglettes! Lil Sis is my little scientist so she LOVES to have these “experiments” as she likes to call them. These toys would fit perfectly inside an Easter basket! 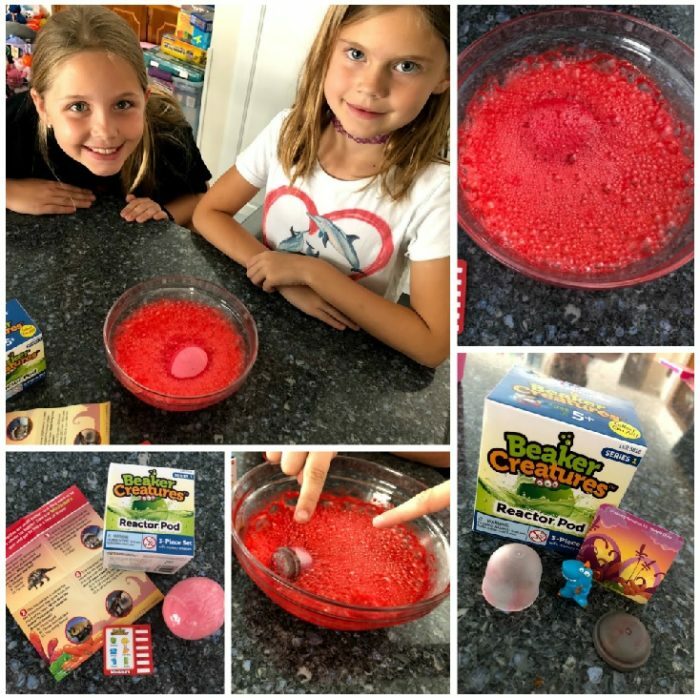 My girls LOVE their Playfoam Pals and Beaker Creatures as they offer up sensory play that kids crave. Check out the Amazon DOTD website and get yourself some awesome toys at extra savings for TODAY only! You can connect with Educational Insights on Facebook, Instagram, Pinterest, YouTube and/or @Ed_Insights on Twitter. You can connect with Learning Resources on Facebook, Instagram, YouTube, Pinterest and @LearningHandsOn on Twitter.